This stunning bronze statue of Hall of Famer George Sisler is a smaller version of the huge Harry Weber Sisler statue that is near lifesize and part of the array of legendary St. Louis Cardinals (and Browns) figures that are outside Busch Stadium. To call it smaller seems laughable: At nearly 20 inches high with its heavy marble and polished-wood base, the 18-inch statue approaches 30 lbs., and yet is indeed dwarfed by the famed Weber 5-foot statue outside the stadium that is part of a grouping that includes Dizzy Dean, Stan Musial, Rogers Hornsby, Red Schoendienst, Enos Slaughter, Cool Papa Bell, Lou Brock and Ozzie Smith. 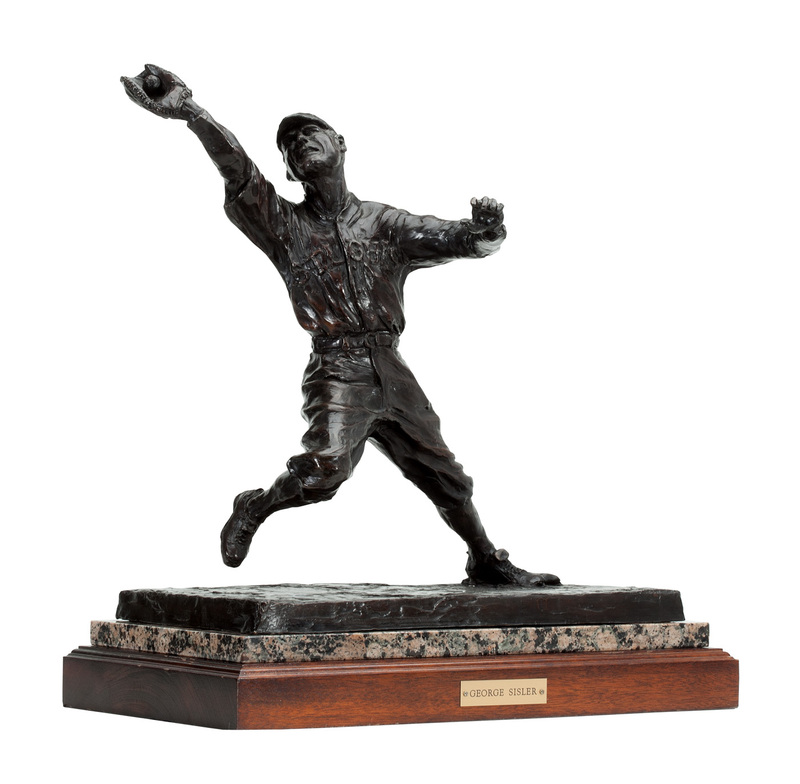 It is a stunning, smaller version of that remarkable piece, showcasing the Hall of Famer for his fielding prowess, which was nearly as legendary as the batting skills that produced a .340 lifetime average and two .400-plus seasons. 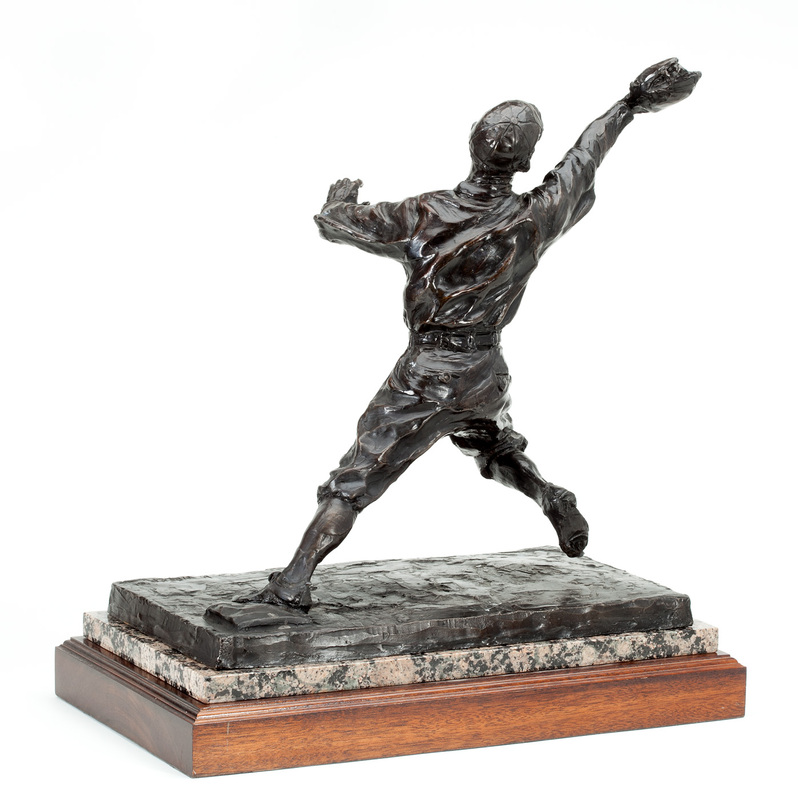 Baseball historians widely regard Sisler as the top-fielding first baseman of his era and beyond. 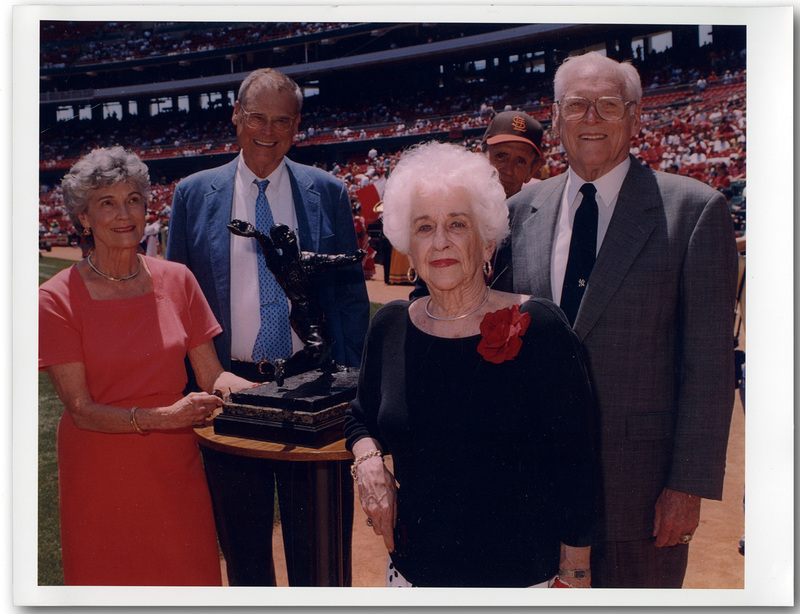 The statue was presented to the Sisler family at a dedication ceremony in 2001; comes with a color 8-by-10 photo of Sisler family members and the statue at home plate at the stadium. 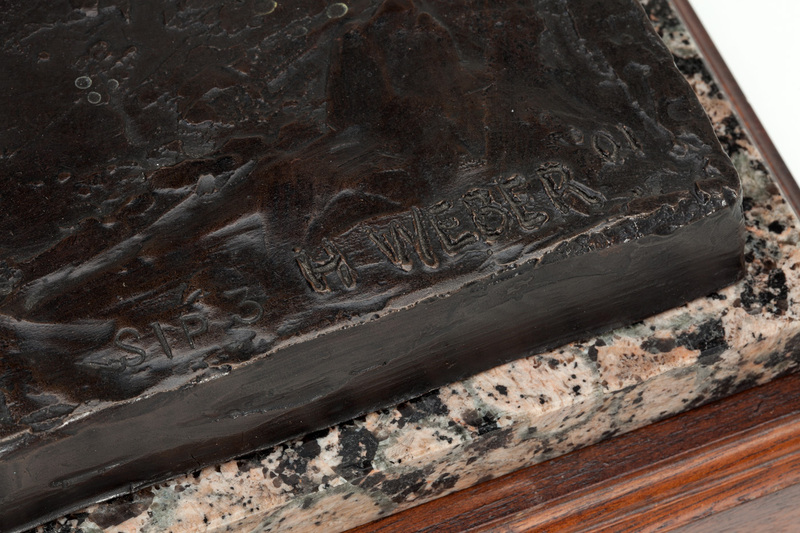 There have been repairs done to the statue near Sisler's left ankle from damage suffered in transit, but is barely discernible and only upon active search. Overall, the remarkable piece still presents essentially as originally issued, betrayed by only the tiniest of nicks on the 18-by-11-inch wooden base. Comes with a Letter of Authenticity from the Sisler Family.